2018 has certainly been a tumultuous year for Huawei, which began on an extremely inauspicious note as the company’s efforts to crack the US smartphone market were quashed by a US government that then escalated its trade conflict with China. While tensions continued, reaching new heights when Huawei’s Chief Financial Officer was arrested in Canada recently for alleged fraud in breach of US sanctions, the smartphone vendor somehow managed to maintain a healthy shipment growth rate. After surpassing Apple in both Q2 and Q3 2018 global smartphone sales, the company expects to hit a historic 200 million unit milestone by December 25. That’s 200 million Huawei and Honor-branded mobile devices shipped around the world this year alone, up from “only” 153 million units or so in 2017. While not entirely surprising, given the 100 million feat was celebrated back in July after setting this exact 200 mil goal a month earlier, it’s still impressive to see Huawei meet its ambitious self-imposed objective in a time of turmoil and general industry stagnation. Both Samsung and Apple are struggling to fend off increasingly robust competition from the likes of Huawei and compatriots Xiaomi and Oppo, with an impending change of global market leadership feeling more plausible by the day. Remember that Samsung’s Q3 shipment volumes declined by around 13 percent compared to last year, while Apple’s numbers were flat in the latest July - September timeframe. 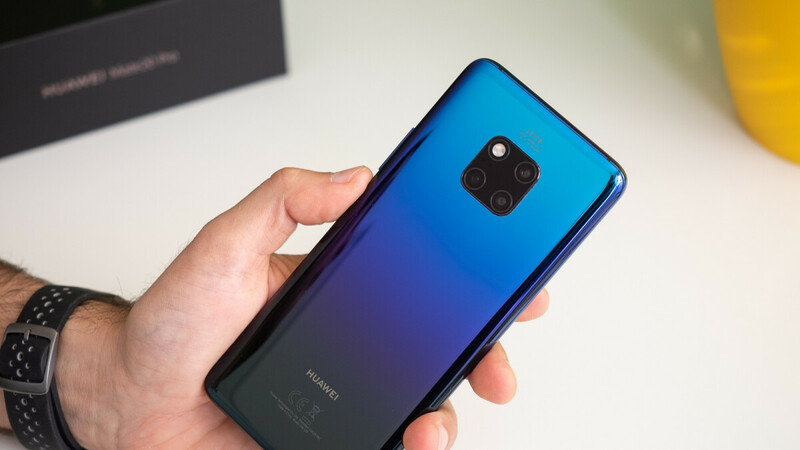 At the same time, it’s unclear if Huawei will be able to beat Apple when total 2018 smartphone sales are tallied, but analysts expect iPhones to slump in 2019, which would make it fairly easy for the designers of the Mate 20 Pro to win next year’s silver medal... at the very least. The US government is spying the world through iPhone.... ALL COUNTRIES SHOULD APPLE PRODUCTS. Or maybe it's just that Huawei is that shady. No need to deflect. NSA is proven by Binney & Snowden to spy on EVERYBODY. There are only accusations that Huawei spies, but nothing is proven. Exactly. +1 for the truth. Where there's smoke, there's fire. I have to remind some people that who choose to remain ignorant to the facts. And that's yet to be proven. But it's already commonly known that NSA had been spying on us for years, it's time for US government to show us something to back up their claim if they actually can. You do know that China is a communist country, right? Totally disagree because those aren't the facts. China being a communist country has absolutely nothing to do with the fact that there is no evidence that links Huawei to spying for China, or what the NSA has proven about the U.S. Those are the facts. You are the venom of this forum. No pun needed. I only speak the truth. I don't cut corners for any OEM. Except for the ones you favor. FIFY. While I'm not going to include Apple in this, Huawei has not been proven to do anything shady. Some people here are just saying this to deflect from the fact that Huawei is growing sales and market share without the U.S. market. You have some people who are so convinced that Huawei is innocent. I have enough knowledge to know that they aren't the innocent victims that people think. Huawei and quality don't simultaneously go together. So where is your proof that Huawei is guilty of what they are being accused of? Knowledge is knowing the difference between facts backed by solid evidence and fiction with unsubstantiated evidence. And you can't talk about quality when you favor Pixels and the Essential Phone, because those are lacking in quality. Yup. They're struggling to sell the Mate 20 and Mate 20 Pro here in country, the regular version has a light bleeding from the bottom due to the thin chin and also a mediocre earpiece, and the Pro version we all know what's going on with it's screen. The P20 Pro on the other hand is still going strong, as well as for their fantastic midrange lineup. I won't say the Mate 20's issues is going to have a huge affect on their sales, but it'll definitely leave a dent in their sales. Impressive! And what makes it even more so is the fact that they did it with very little to no presence in the U.S. Had they been able to crack the U.S. market instead of being stifled by the government, this number would be much larger. Powerful, feature rich smartphones that offer incredible bang for your buck (especially with their sub-brand Honor) is what got them here. Kudos, Huawei. They better celebrate now. Because it's uncertain they will have this kind of growth again now that governments around the world are now slowly boycotting Huawei products thanks to the pressure of the US. Huawei is pretty shady though. I think it's justified for the governments to not trust them despite what the Huawei apologists will say. It's more their infrastructure equipment that's being boycotted as opposed to their smartphones. And considering that there has been solid evidence of Huawei being shady, to say so is a bit premature and unsubstantiated, despite what the Huawei haters will say. 'Solid evidence'? You totally made it up dude. Meant *No solid evidence. Check up above and other Huawei posts. I defend them against this unfounded nonsense. That, and the rest of my posts leans towards defending Huawei from these accusations as well. It's only US, Australia, Japan and New Zealand that are banning Huawei. No other country has followed so far. Their smartphones are an issue of quality given that they don't really last, but the Huawei apologists will of course make up excuses for Huawei. Their smartphones definitely do last, and are of better quality than say, Pixel and Essential Phones, which have a plethora of issues. But the Huawei haters will of course say anything negative about Huawei, even if it's not true.